Crisp hot waffles filled with bites of ham and melting cheese are a great breakfast option for busy mornings on the go or for a lazy weekend brunch! Ham and Cheese Waffles proved to be completely and totally irresistible to my whole family this week. 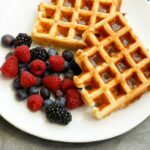 My kids declared these Ham and Cheese Waffles the BEST WAFFLES EVER and we’ve already made another double batch of them to keep in the freezer. These waffles are a great make-ahead breakfast, lunch, and dinner. 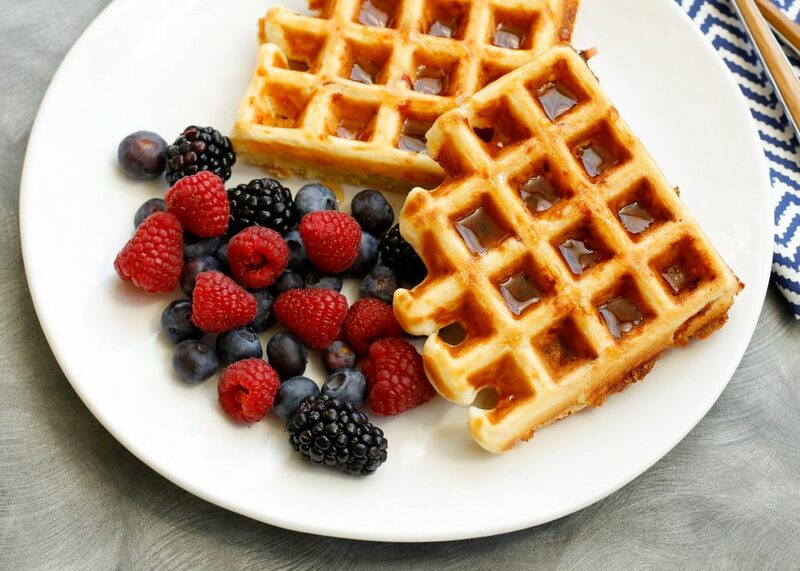 Pop the frozen waffles in the toaster, wrap them in a paper towel, and hit the road in the morning. No syrup is required, although we do enjoy them with a drizzle of syrup as well. The syrup adds a fun sweet note to the savory waffles. My whole family loves waffles. Waffle dinners were a Sunday night tradition for a lot of years and I still think of waffles more often than anything else when it is time for dinner and I don’t have a plan. And yes, almost all of the waffles mentioned above include both the traditional and the gluten free recipes. Kitchen Tip: I use this waffle iron and this cooling rack to make this recipe. Crisp hot waffles filled with bites of ham and melting cheese are an irresistible breakfast option for busy mornings on the go or for a lazy weekend brunch! Preheat the waffle iron. Stir together the dry ingredients. Add the milk and eggs and stir to combine. Add the melted butter and vanilla and stir to combine. Stir in the ham and cheese. Pour onto the hot waffle iron and cook until lightly browned. Serve handheld or with a drizzle of maple syrup. Enjoy! FREEZER MEAL: Let the waffles cool completely, before storing them in an airtight zip close bag. 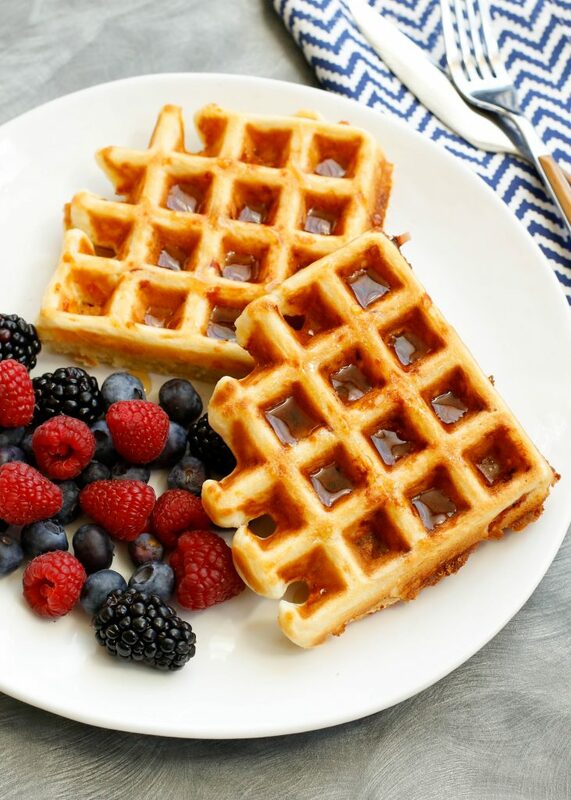 Reheat the frozen waffles in a toaster oven or in the microwave. 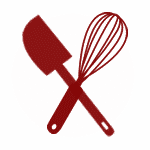 For a gluten-free alternative: 1 1/3 cups brown rice flour, 2/3 cup tapioca starch, and 1/4 cup potato starch may be substituted for the all-purpose flour listed in the above ingredients. I always choose savory over sweet, so I LOVE these waffles. Such a great idea with the yummy sweet batter and salty ham and cheese! I'll be making these! I'm the same way, Holly! I'm pretty certain that these savory waffles are my new favorite. I'm thinking these would make great "bread" for an egg sandwich for an on-the-go breakfast! I will try this soon. Do you think the waffles could be reheated in a toaster, or would it make a mess? Thanks for another great recipe, Mary. BTW, I received your cookbook for Chrstmas and have made several recipes......and you'd laugh to see all the sticky notes marking the ones I still want to make! This is a great cookbook, folks! You will definitely want to add it to your stash! These waffles reheat fabulously! I warm them in the toaster or in the microwave. I have a dozen in my freezer now. My favorite way to eat them is with a soft egg on top.I'm thrilled to hear that you're enjoying the cookbook too! Happy cooking! How many waffles does this make in a standard size waffle iron? I'm not sure what "standard size" is these days, but this recipe makes (8) 4-inch belgian waffles.